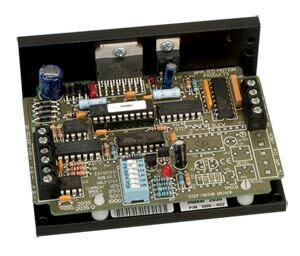 The 2035 step motor driver is a step and direction drive with full or half-step capability. Phase current is selected from 0.125 to 2.0 A by a DIP switch. Full or half-step resolution is also switch selectable. This drive is compatible with PLCs which feature high-speed pulse output, such as our ELC-PLC series and OCS XL series. 참고: To see torque-speed curves for recommended motors, click on "Specs" above.